The Howlin' Souls - Free & Young. Background - NYC based Rock N Roll band, The Howlin' Souls is releasing their brand new music video, “Free & Young” yesterday. 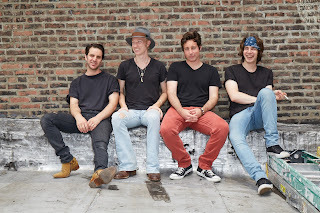 Formed in Downtown Manhattan in 2012, The Howlin' Souls have emerged onto the music scene with a fresh yet classic sound that has been welcomed by critics & fans alike. Singer-songwriter, Pete Smith has infused his Indiana roots into his songs with raspy and honest vocals and lyrics reminiscent of Petty and Dylan. Pete’s guitar playing is supported by lead guitarist and New York native, Scott Sepe, who lends his nostalgic riffs to the Souls’ sound, pulling from the blues and modern rock standards he mastered as a teenager. The rhythm section is comprised of New England natives, Nate Lang (drums) and Robbie Sokolowsky (bass). Their shared love of classic blues, Motown and R&B offer a humble yet infectious back beat groove. 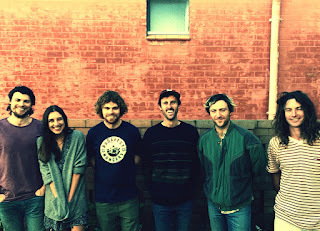 Background - Regarded as one of “the next big things in Australian Music” (5Why), The Montreals, are a slick indie-rock outfit from Adelaide, South Australia. 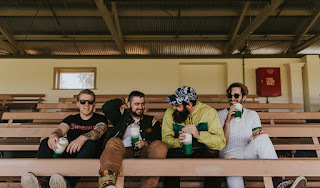 After kicking the door down with their debut EP Indigo Club in late-2016, the band successfully toured nationally and performed in support for internationally successful acts including Alpine, Last Dinosaurs, Andy Bull, Hey Geronimo & Dorsal Fins. Mixed by Magoo (The Jungle Giants, Art vs. Science) and mastered by Steve Smart of Studio 301 (British India, Vance Joy), the 3-track record garnered hundreds of thousands of streams on streaming services worldwide. The highly anticipated release of their first single of 2017, ‘deadheads.’, is the exclamation point on a breakout debutant year. Corniglia - I Don't Know What To Say. 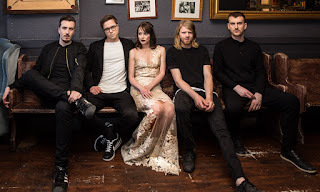 Background - After causing a minor buzz amongst the indie music community in late 2016 with their debut single “Oh My Love”, Perth Indie-Pop act, Corniglia, have released their follow up single “I Don't Know What To Say”. With their dark indie pop being likened to Radiohead, Beach House, Tame Impala, The Sleepy Jackson and Warpaint, the band’s new release (recorded in the Irwin’s home studio and mixed and mastered at Bergerk! Studios) is an infusion of bubbling melody overflowing from underneath it’s lo-fi production. You can almost feel the tension between the introspective chilled delivery and what is trying to burst through between the lines. It is equally looking back at past personal and current world issues with an understanding smile and a muted scream. Murder Murder - I've Always Been a Gambler. Background - Murder Murder is a full string band with suitcase percussion who create a unique blend of bluegrass and outlaw country. The new single/video "I've Always Been A Gambler" is the first from their upcoming LP Wicked Lines and Veins which will be released this September. The track is a fast-paced, dobro-driven song about an angry drifter in a card game who can’t stand the sight of the man across the table from him. While an original tune, it references two classic gambling folk songs - “Jack of Diamonds” and “The Cuckoo”. Facebook here. Natural "outlaw country" style vocals are supported by some fabulous music on 'I've Always Been a Gambler' a trailblazing song, which as the song title and video pretty much confirms - is about gambling. Even if this type of music isn't usually your "thing", give it a listen just to appreciate the intricate and vibrant musicianship. Background - Some artists want to shine a light in the darkness. Common Deer come bearing an arsenal of floodlights. 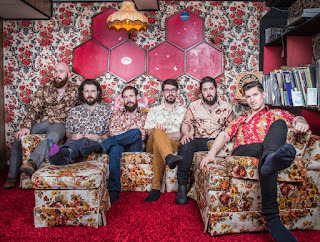 The band’s stirring new single “Wait!”is proof that the powerful Toronto quintet stand apart as a vessel of uplift, a call for camaraderie, and an act of resistance against jaded nihilism. The song is the first off their second EP “II” which lands on September 8, 2017. Roddy Hart & The Lonesome Fire - Sliding. Background - Scottish 7-piece Roddy Hart & The Lonesome Fire's new single ’Sliding’ evokes the epic, driving americana you’d associate with such noteworthy artists. 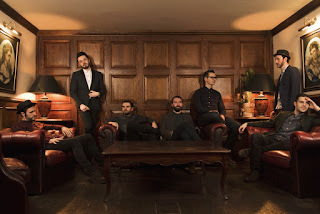 If the Scots slang – which gives Roddy Hart & The Lonesome Fire’s “Swithering” its name – suggests any sort of indecisiveness at play, then it’s one that the band whole-heartedly embraced to help push the boundaries of what it felt capable of creating. From the very beginning, this was a group of players eager to change how they approached making a record. Hailing from Glasgow, Scotland, the band (Scott Clark, Roddy Hart, Andy Lucas, Scott Mackay, John Martin, Geoff Martyn, and Gordon Turner) formed naturally over a number of years as Hart’s own evolution as an artist and songwriter progressed.